Flying Experiences On RedBalloon Are Perfect For Adrenaline Junkies! Soar over lush green wine regions, rugged landscapes and towering cityscapes. Skydive over glistening aqua waters, jump on board a scenic helicopter flight or watch a spectacular sunrise from the basket of a hot air balloon. It's time to spread your wings with a flying experience from RedBalloon. When it comes to inspiration for great ideas, look to the sky! If they are a daredevil who isn't afraid of heights, Skydiving is the ultimate adventure. These make for great Gifts for Men, especially those who have always dreamed of conquering a skydive over the beach, over the Great Ocean Road or over the Hunter Valley. In fact they can skydive all over the country, with experiences in almost every state. Just imagine those breathtaking views, perfect for the adrenaline junkie in your life or if you're looking for Gifts for Dad. Not so keen on the thought of jumping out a plane? Indoor skydiving is the perfect solution. You’ll still experience the same thrill as a free fall from 14,000ft – minus the fear of heights. These experiences are the perfect presents for men or gifts for women who love to try new things. Soak in the scenery with a stunning hot air balloon ride. If the man in your life is an early bird who would love to watch the sunrise from the the best vantage point, Hot Air Ballooning are great Gifts for Him. 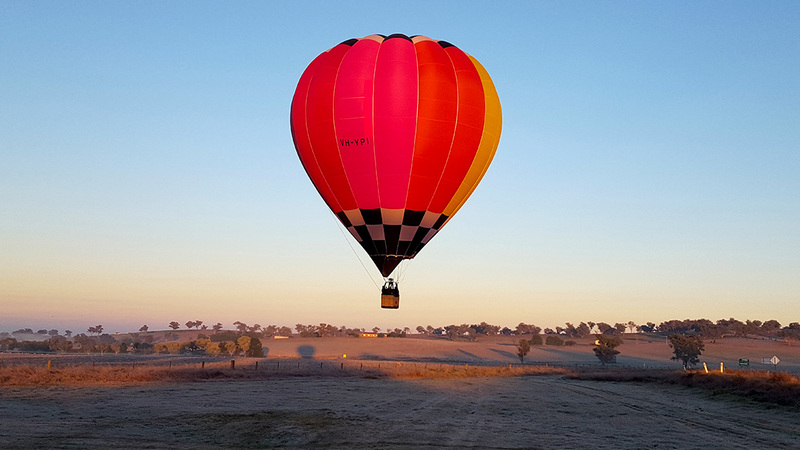 These are also perfect womens gifts as you can make the most of a mini-break in the Hunter Valley, Barossa Valley or Yarra Valley by incorporating a hot air balloon ride into your weekend away. You can always swap the country views for city skylines by floating over Canberra, Melbourne or the Gold Coast. Know someone who considers themselves a high flyer? Gift them a Helicopter Flights. If they are a serious heli fan, they can even take over the controls with a number of learn to fly experiences available. Who doesn’t want to be in the pilot’s seat? If you really want to take your gift giving to the next level, surprise a loved one with a Black Ops helicopter flight mission - yep, it’s every bit as thrilling as you’d expect. Take the chance to be immersed in a ‘doors off’ military-style flight experience. So what are you waiting for? Give the gift of flight today, the perfect gifts for husband or wives!